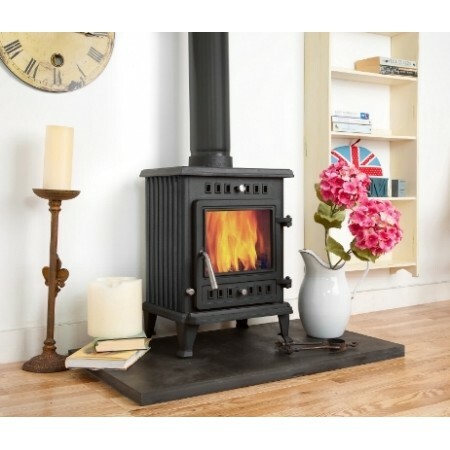 The Coseyfire 4.5kw is a very attractive small unit that can fit into almost any fireplace opening. Although the unit is small it can produce up to 4.5kw which will easily heat a medium sized living space. This charming little stove will brighten up and be the focal point of any room. The Coseyfire 4.5kw is hand made from thick Australian cast iron virgin ore and has a very smooth blemish-free surface. Many stoves, including expensive brands, still use re-melted scrap for their castings. The high phosphorous and sulphur content of re-melted scrap leads to subsequent cracking of the stove. People sometimes wonder why wood burning stoves from other companies cost so much more than ours. Quite simply: we cut out the middle man. We design a large amount of our products and they come direct from our factory to us. We can stock over 2,500 stoves at any one time and deliver our stoves direct to our customers with no showrooms. We always suggest prospective buyers take a look at our glowing feedback that currently has over 7,000 positive comments on our stoves and stove products. A range of features including airwash, multi-fuel riddling grate, air tight seals and a choice of top or rear flue outlets make the Coseyfire 4.5kw wood burning stove a versatile stove that is easy to maintain. A removable throat plate and ash pan makes cleaning the stove and flue outlets very simple for added ease of use. 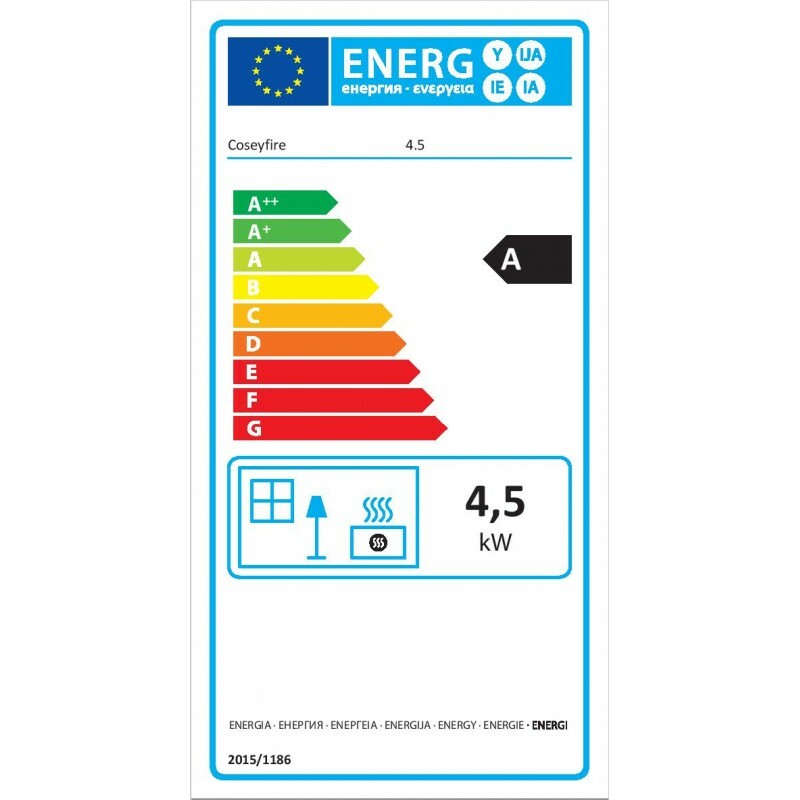 A top air control allows the air to be directed down the glass to keep it clean and add secondary air to complete combustion for a more efficient stove (73% efficient). The Coseyfire 4.5 wood burning stove has a good sized flat top that is great for cooking and boiling a kettle on. The thick cast iron body retains heat for a long period of time, reducing the need to refuel the stove all evening long. Please note that this is the price for delivery of Coseyfire 4.5 Multi-Fuel Woodburning Stove Stoves only. The final amount might change depending on the contents of your shopping bag when you check out.